Growing children needs proteins in their diet and lentils are great source of protiens. Chickpeas are rich source of protiens so include it in your child’s diet. Chole bhature is to die for combination of foods and it’s extremely popular in India. Spicy chole curry is served with soft and luscious bhatura. 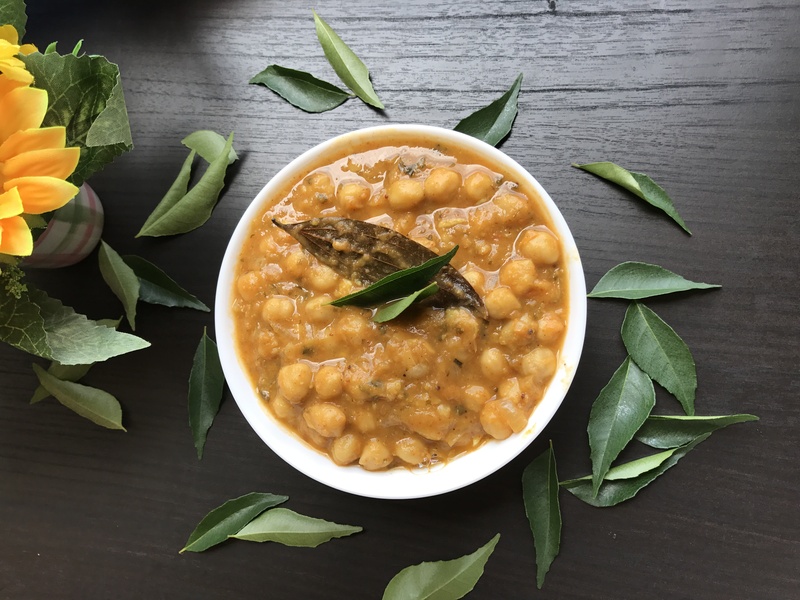 I make chole often and serve it with normal chapatti or rice. Actually it’s so scrumptious curry that it goes well with anything. 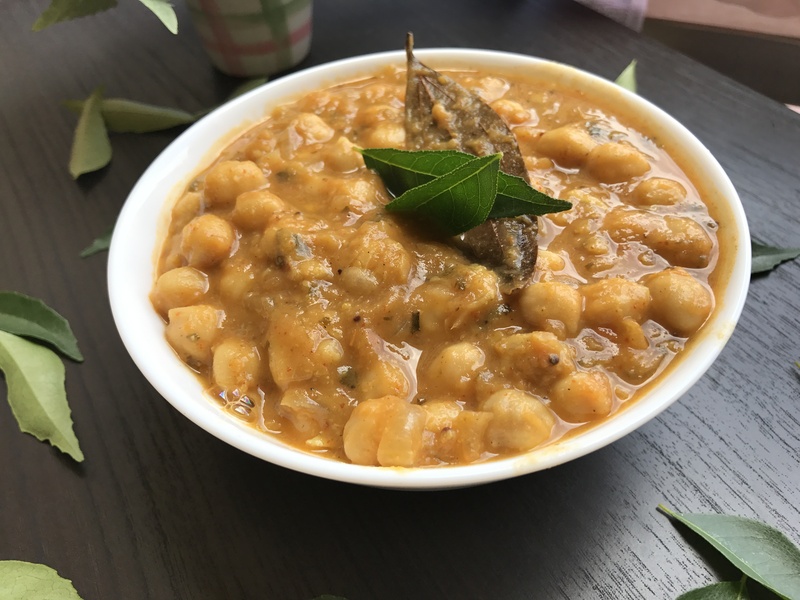 Chole curry is made using chickpeas/ Kabuli Chana / white Chana. You can make chats, kebabs , pulao ,salads using chickpeas. As its protein food it’s used in weight loss diet. Today’s post is about tasty , spicy Punjabi chole recipe. This is made by cooking chickpeas along with tomato , onion gravy and spices. Spice used for making chole is mixture of few spices like cinnamon, bay leaf, black pepper ,cumin. I have used store brought chole masala for making this curry. Soak chickpeas in water overnight or for 8-9 hours.Make sure to add 5 times more water while soaking as chickpeas gets increased in size after soaking with water. Pressure cook chickpeas with water and salt for 4-5 whistles in pressure cooker. For making gravy of Chole: Finely chop onions ,tomatoes ,coriander leaves.Keep it aside. Once oil gets hot add cumin seeds and mustard ,asafoetida in it. Add ginger garlic paste and saute for a minutes. Add curry leaves and chopped onions in oil and saute. Once onion gets trancelucent add chopped tomatoes and saute for few more minutes. Cook until tomatoes get mushy and switch off gas. Let veggies cool completely and grind it with water to get fine paste. Grind 2 tb spoon of cooked chickpeas with water to get fine paste.This paste is used to give thickness to chole curry. HEat pan and add oil in it.make tempering of seeds. Add bay leaf , cinnamon stick in oil. add veggies gravy in oil and saute. Add cooked chole , chole paste and all spice powders in it. Mix all ingredients well and add water as per required consistency. Sprinkle crushed kasoori methi on chole. Cook chole curry for 10 minutes and switch off gas. Serve hot chole with rice or bhatura.